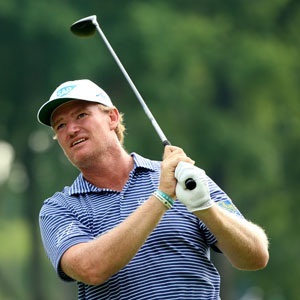 Cape Town - The Sunshine Tour announced that South Africa's most successful golfer of the past three decades Ernie Els will take on the role of host and ambassador for the South African Open Championship, starting with the 104th SA Open in January 2015 at Glendower Golf Club in Ekurhuleni. In addition to the SA Golf Development Board’s Chapter in Ekurhuleni, Els' two charities, Els for Autism and the Ernie Els & Fancourt Foundation will become the beneficiary charities of the tournament. Selwyn Nathan, executive director of the Sunshine Tour said, "We are very excited that Ernie has accepted the role, which we are sure will go a long way to re-establishing golf's second-oldest national championship as one of the world's flagship events. "Ernie's commitment to the Sunshine Tour has been unwavering throughout his stellar career and we are very grateful that he has reaffirmed this commitment to professional golf in South Africa by helping us to grow our national Open." From his US base in Florida, Els said, "I am very honoured to have been offered this role and accepted without hesitation as the South African Open Championship is a tournament with incredible history and has featured strongly throughout my career. "I look forward to working together with the Sunshine Tour to achieve our shared vision of growing the SA Open, so that it can once again take its rightful place among the most prestigious tournaments in world golf. Whatever successes South African golfers have enjoyed around the world, none of us forgets the incredible start we had in our careers by having tournaments like the SA Open to play in on the Sunshine Tour. "It is therefore imperative that we do our best to ensure that South Africa's flagship events are sustainable for generations to come and I am delighted to be able to give my full support to achieving this. "I have no doubt that my fellow countrymen who play on the European and PGA Tours feel the same way and I look forward to them joining me in working towards these goals." Cllr Mondli Gungubele, Mayor of Ekurhuleni, where Els spent his formative years as a young golfing phenom, added, "As the host sponsor of the 104th South African Open Championship, we are delighted that one of Ekurhuleni's most famous sons has agreed to take on this role and we look forward to welcoming him back once again to the City of Ekurhuleni."